For this project, OST has been working for an air transportation support center chartered with providing functional, technical, and analytical support for the execution and management of data processing tasks. It acts as the information execution and data records section for all assigned aerial port operations that do not have access to the Global Air Transportation Execution System (GATES), the back-up for all customer aerial port operations that utilize GATES for the movement of passengers and cargo globally, and the “Missing Manifest” liaison between aerial port data records sections and the billing system. OST has been tasked with modernizing and upgrading the center’s systems while providing program management to ensure the center more effectively delivers around-the-clock, specialized support to customers on a global scale. As program manager for the center, OST has been responsible for data collection, input, analysis, presentation, and record keeping of manifesting activities at all designated aerial port sites. We have also routinely collected and analyzed performance data on commercially contracted premium air cargo delivery programs. Finally, OST has focused on implementing process improvements in all aerial port systems execution and data records functions. When OST began working on the project, we found many missing or outdated record keeping programs that resulted in a lack of accountability and missing revenue. These included programs for reconciling manifests, tracking commercial reliability, auditing manifests, workload reporting, travel authorizations and creating trouble tickets. Furthermore, a new requirement was added that all airlift missions would comply with TSA instruction: all passengers would be screened and cleared for travel prior to boarding aircraft. This information needed to be included in the record keeping databases OST managed. 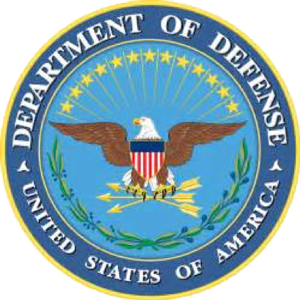 By modernizing or developing new programs, OST has helped the DoD recoup more than $697,000,000 by finding and reconciling nearly 160,000 missing passenger manifests over 13 years. OST has replaced a legacy record keeping system that tracks both international and domestic shipments, cargo, on-time standard delivery percentages, weight, and cost in dollars to the government, and now has three years of data comprising more than 15 million shipments with a total cost of nearly $289 million. The center’s modernized reliability program now tracks more than 32,000 commercial shipments, pieces of cargo, on-time standard delivery percentages, weight, and cost in dollars to the government. The virtual aerial port program tracks cargo and passenger manifests, going back 12 years, for nearly 40,000 missions and more than 3 million passengers. This increased accountability has resulted in more reliable data, processes and faster identification of technical problems. And OST continues to make improvements. Through this project, the center, with OST’s help, has become the worldwide expert on the use of GATES and data records collection. The team has been visited twice by DoD leadership to receive personal handshakes in recognition of its outstanding data collection for Operations Haiti Earthquake Relief and Tomodachi Japan Tsunami Evacuation. By recouping hitherto lost revenue and increasing its systems reliability and accountability, the center has seen tangible benefits from OST’s work and is better able to meet its mission.